Do you know why I go to the same record store every week? Because consistency is the key to building the type of relationship where the owner will set aside amazing albums, like this one! I guess Mr. Richard and I are the true modern day odd couple, not the sort of played out male duo rehashed for today. He’s the early riser, I’m lazy. He organizes, I tornado through and destroy it. I could live in a bed for days, assuming somebody brought food, I had my computer and there was obviously a bathroom nearby. If I could do that, this album would need to come. Nancy is perfect lounging music. Yes, there are upbeat moments and I’m not implying that just because I want to lounge in bed, I need depressing music or something like that, I just love being lazy when I can and listening to good music! What Kimd of Fool Am I? DJ Magic Mike has a ton of albums from the 1990s and 2000s and since his singles are all really fun colors, I’ll definitely be keeping an eye out for more. This 12″ single is the second in our collection already and it’s an interesting clear, almost seafoam tinted hue. We were really lucky to find this, I think we were even on the way out, waiting to pay and happened to go through the stack again. 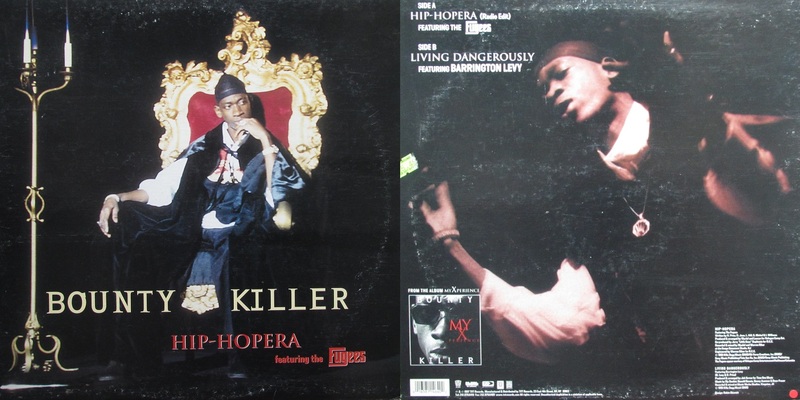 The A side of this 12″ Bounty Killer single has the Fugees and the B side has Barrington Levy. No remixes, no instrumentals, but if you see if, make sure you grab this dope track! Bounty Killer (born Rodney Basil Price; 12 June 1972; Kingston, Jamaica) is a Jamaican reggae and dancehall deejay. The Vengaboys are a Dutch Eurodance group based in Rotterdam. The brainchild of two Dutch producers Wessel van Diepen and Dennis van den Driesschen (Danski and Delmundo), the group consists of lead vocalist Kim Sasabone, vocalist Denise Post-Van Rijswijk and male vocalists Robin Pors and Donny Latupeirissa. 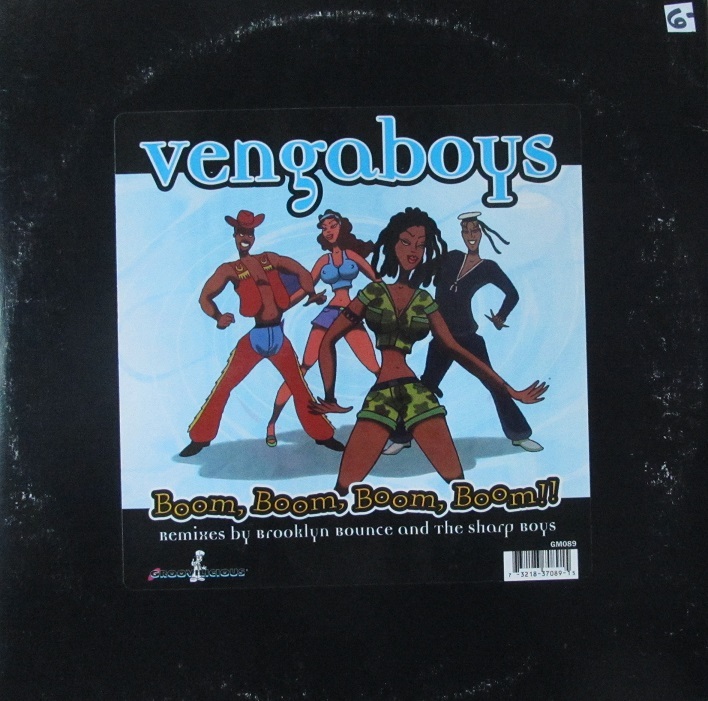 The Vengaboys enjoyed commercial success in the late 1990s. They are best known for their two UK number-one singles, “Boom, Boom, Boom, Boom! !” and “We’re Going to Ibiza”, as well as their worldwide hit “We Like to Party”. They have sold an estimated 25 million records worldwide. In May 2001, the World Music Awards awarded Vengaboys with the award for best-selling dance group of the year. Oye, I haven’t posted at all today. My apologies, I have been hugely distracted by the Over the Edge fundraiser, even with prescheduling most of the time. Bake sales, raffles and hopefully a bar night at a local Boston restaurant and I’m leading the team! There’s 22 of us from my day job and although I can dish out some of the work, it’s still a ton of work! Don’t know what I’m talking about since you happen to be new to this blog? Over the Edge is a unique fundraising event, providing participants the thrilling, once in a life time chance of rappelling down a building in an exciting and completely safe environment. Over the Edge, will be hosted by the Hyatt Regency, Boston on July 18, 2015. Why am I doing this whole thing? Because individuals with intellectual disabilities face their fears every day and Special Olympics has been there helping them do that for over 40 years. Special Olympics Massachusetts provides year round sports training and competition programs for over 11,000 individuals with intellectual disabilities for free. Sports is the platform from which athletes gain self esteem and confidence to achieve their everyday objectives. Sports is the catalyst for acceptance, inclusion, community engagement and so much more. I also do it because I want to be a decent person. You can’t really grow as a person until you humble yourself a bit. This experience, from working with the athletes to actually standing up there 22 stories up is definitely humbling. Some of the greatest musicians have done a lot for various charities and the passionate ones are definitely an inspiration. You can check out my personal donation page HERE. It’d be awesome if you donated $10.00 to help this fantastic foundation. Anyway, I’m excited to lead the team, despite it being a bit distracting from the blog. I’m hoping to get some real work done this weekend though. I guess, that is if I don’t pass out face down and sleep all damn weekend again! The Adventures of MC Skat Kat and the Stray Mob is a 1991 album from fictional rapper MC Skat Kat. The album came about as the result of Paula Abdul’s hugely successful “Opposites Attract” video of 1990. The Stray Mob consists of Fatz (the short, raspy voiced cat who happens to be the second most heard in the album), Taboo, Micetro, Leo, Katleen, and Silk, the first three of whom also appeared in the Opposites Attract music video. The roomie and I picked this up for two reasons: it’s a colored disc and it’s an all female group. I do find that this shade of orange is quite popular when picking up colored vinyl. There’s quite a few albums in our collection that are a similar shade if you haven’t noticed! Before Dark was an American R&B girl group that originated in the late 1990s. The group consisted of sisters Arike Rice and Jeni Rice Genzuk, and their friend Mia Lee, all from South Central Los Angeles. The group released the album Daydreamin’ on July 11, 2000 on the RCA Records label with a single called “Baby”.